The winner of the framed copy of the 1856 Kilmore print was announced on Saturday. The raffle was won by Matt from Lancefield, currently living in Kilmore whilst renovating a 150 year old miner’s cottage in Lancefield. He was absolutely delighted and is looking forward to hanging the etching in his new home. The print was made from an original etching drawn from a position on a hill overlooking the town. Many original buildings are readily identifiable. Those who missed out on the raffle prize can still buy a framed copy from KHS. This picture of the 1947 Kilmore State School class was published in ‘Kilmore Connections’ with a plea for identification. Most of the students have now been identified, thanks to Alison Thomson, but six remain without names. Alison has suggested that some of the unidentified children may have been visitors rather than long-term students at Kilmore. Back row – Kevin Maher, Gordon Wilkie, Ron Lingard, unknown, Margaret Suttle, five unknown. Middle Row – Dawn Buckley, Pam Clarke, Margaret Johnson, Nola Chapman, Lucy Crew, Malcolm McKenzie, Ron Goodman. Front Row – Des Lingard, Tony Davern, Dorothy Buckley, Dianne Clarke, Robert Elliot, Alan Berry. If anyone has any memories of the unidentified, we would love to hear from you. Our November meeting will be held on the second Tuesday of November, due to Melbourne Cup Day clashing with our usual first Tuesday date. Put the 13 of November, 7:30 pm, in your diary,. 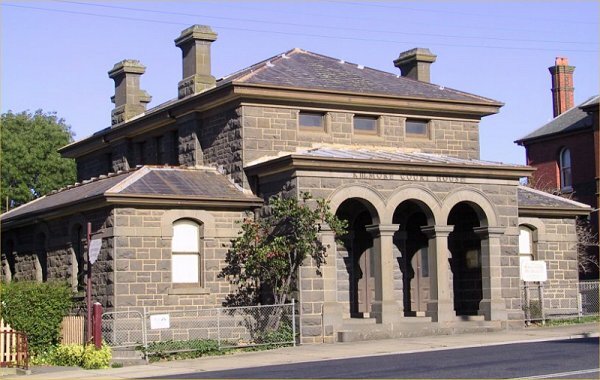 The venue as usual will be the Court House on Powlett St. The speaker will be Allan Stute, talking on the Stute family of Kilmore. The meeting will be followed by supper and a general discussion. All members and non members are welcome to attend. 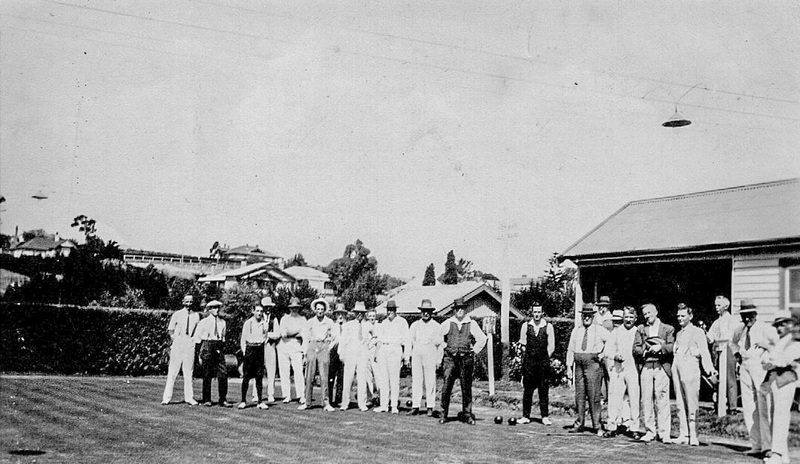 Kilmore Bowls Club History: Can you name anyone in the pictures? 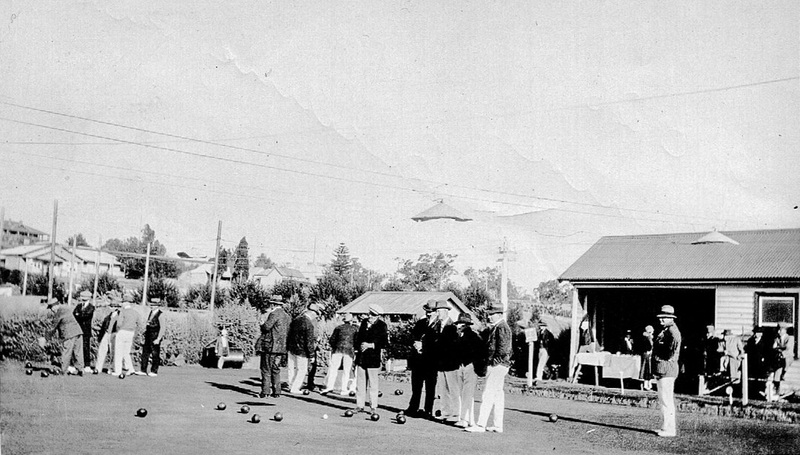 Philip Skehan, one of our members, is currently researching the history of the Kilmore Bowls Club, which will be celebrating its 100th anniversary in 2019. Philip would appreciate hearing from anyone who was involved in the club in the past, particularly office bearers, or any families that have recollections of members; also any documents, photographs, memorabilia, or anything else related to the club that may still be in existence. Philip has provided us with these two photographs to see if anyone can identify the individuals. If you do recognise anyone then please let us know via email at kilmorehistoricalsociety@gmail.com or message us on our Facebook Page and we can pass the details on to Philip. Reproduced from the Society’s newsletter, Kilmore Connections, Issue 70, December 2016. Can anyone help identify this lady ? 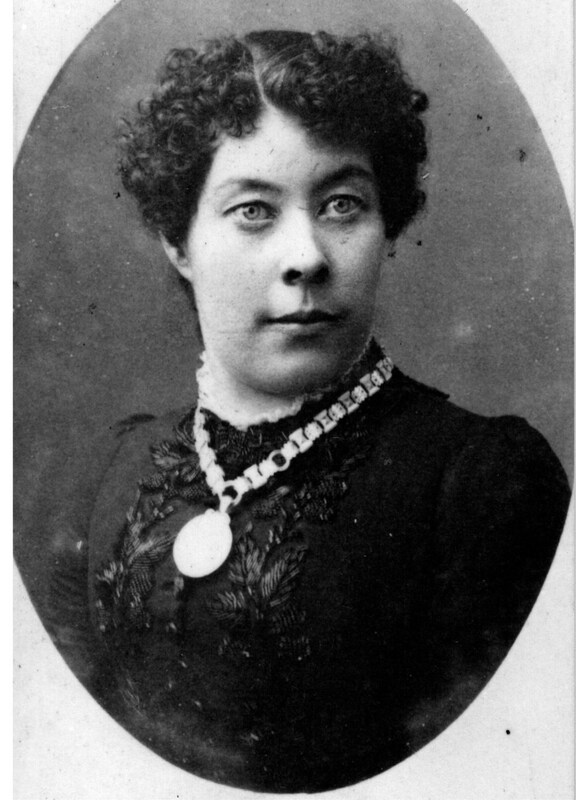 The photo is in the collection of the Kilmore Historical Society but we have no information on the sitter, who is wearing an ornately ornamented nineteenth century dress and a cameo on a chain. The picture was most likely taken in the late nineteenth century, perhaps around 1880. Perhaps her distinctive face might jog some memories.